Each state government sets aside a certain amount of money that is utilized to bring about development in the infrastructure of the state. States sometimes offers bonds to the residents under special chit funds. The money thus collected, is used for the overall progress of the state. Chit funds are risking investment areas. But with state operated chit funds, one can be rest assured that their money will be in safe hands. 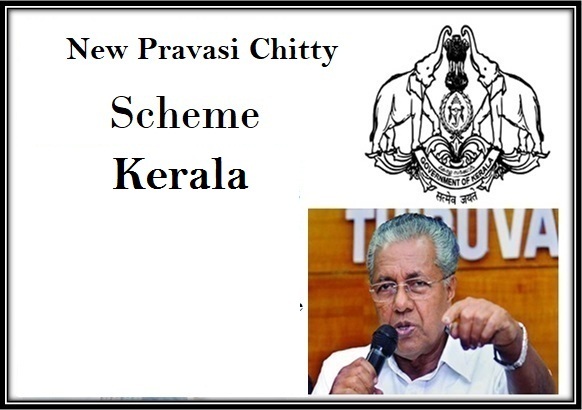 Recently, Kerala government has introduced the Pravasi Chit scheme or NRI Chit Scheme for people who are originally residents of the state, but are settled abroad for professional requirements. Invitation to NRI Malayalees – Before this project, there were no chit funds in Kerala for non-resident Indian Malayalees. Things are expected to change with the launch of this chit fund scheme. It will only allow Malayalees to take part in this unique program. Estimated amount to be raised – With this chit fund, the state government will be able to bring in an additional 100 billion into the state. This huge sum will be collected in only 4 to 5 financial years. Plans of the state government – This chit fund will put a significant amount in the state coffers. Kerala government wants to use around Rs 80 billion for the expansion of spice route. Around Rs 500 billion will be used to support other developmental ventures. Amount that can be deposited – Kerala government has set a lower as well as an upper limit for the monetary deposits, which can be made by the NRI Malayalees. The lower limit of the deposit is Rs. 25,000 while the upper limit is Rs. 40,000. The money must be deposited on a monthly basis. Benefits of the chit fund – Apart from being an investment venture, the scheme will also offer pension benefits to the depositors. All depositors will be entitled to receive insurance coverage as well if they register under this state operated chit fund. Non-payment of the deposit – In case any depositor is unable to continue the payment due to death or serious accident, then it will be the responsibility of the state government to pay the rest of the amount. Linking chit fund account with pension scheme – To get better benefits out of this chit fund, Kerala state authority has suggested that it will link the scheme with state sponsored pension schemes. Not a mandatory project – The state government was quick to announce that it is not mandatory for the NRI Malayalees to deposit their money in this chit fund. It will be their decision, and the state will not put any force on them. Green signal from RBI – People depositing their money in this chit fund need not worry as this scheme has been analyzed by the Reserve Bank of India. The apex body has already given its approval to proceed with the launch of this scheme. For residents of the state – As this scheme has been designed and developed by the state government of Kerala, it is obvious that only people who have legal residential documents of this state will be allowed to deposit money in this state operated chit fund. For NRI candidates – Only those people will be able to deposit their money in this chit fund that live and work in other nations. Their income should originate in some other nation. Age related criterion – There is also an age related criterion. In case any NRI Malayalee is interested in depositing money in this chit fund, he/she must not be less than 18 years and should not be more than 55 years of age. Residential proof – As the scheme is only open for people who originally belong from Kerala and now live in any other nation for professional purpose, submission of the actual residence certificate is a must. This certificate will support the claim that the depositor is actually a citizen of Kerala. NRI certificate – The project will only allow the association of the NRIs. So, each applicant will have to submit a copy of their NRI certificate. Income certificate – Applicants also have to submit a copy of their income certificate. It will allow the state government to ensure that the income has been generated legally. Age proof – As there is an age related criterion, all applicants have to submit their age certificates. Only then will they be able to become a registered member of this state operated chit fund. All NRI Malayalees who are interested in this investment fund will have to log on to the official site of the scheme and register. For the ease of these people, the application process has been completely digitized. The authorized link is pravasi.ksfe.com. One can skip these steps and land on the registration page directly, by clicking on the link https://portal.pravasi.ksfe.com/index.php/home/cust_reg. It will trigger the site to produce the online registration form on the computer screen. All personal ID details, ISD Code, passport number and other credentials, along with the National Identification code and NRI code must be typed in the registration form correctly. For creating separate login ID and password, every applicant has to click on the link https://portal.pravasi.ksfe.com/index.php. Here they need to fill in some details. Once the process is complete, they will receive their respective login ID and password. The state government has also launched an Android application that will allow people to track their chit fund account and pay their installments without any issues. This app will keep them notified about any changes as well. In case they need any assistance, they can make use of this app. The application is fully secure, and can be downloaded on any Android phone for free. As eligible candidates from all over the world will be able to open their account in this chit fund, the state will maintain a helpline number for their assistance. The best part is the lines will remain open for 24 hours a day and seven days a week. The helpline number is 0471-6661888. People can get assistance via Watsapp as well. The Watsapp number is +91 9447097907. Candidates can also drop a mail to the id pravasi@ksfe.com for getting their answers. People who are currently residing in UAE will be able to get a call from the state authority only if they dial the number 04-8189669. They can also send a text message on the number 3707. They need to type “KSFE” give a space and then type in their query. With this scheme, NRI Malayalees will be able to do their part in the development of their state. Schemes like this will not only allow the NRIs to play their part in state building, but will also be able to get additional benefits like pension and insurance coverage. So, this scheme has two-pronged perks for the depositor and the state.